Doug Collins overcame adversity to find his dream UX job. If you’re struggling to find your way into a UX job, then I think you’ll find that Doug Collins is an inspirational guy. Ever since he crossed my path on the UX Mastery forums I’ve been fascinated by his upbeat attitude, his pragmatic approach to problems, and his willingness to go out of his way to help others. Then I read his story: From Homeless to UX Engineer. It is an exciting time to be transitioning into a career in UX, but that doesn’t mean it’s an easy time. There isn’t a defined path and we see lots of our community members struggling to decide how their time and money can best be spent with the end goal of that first UX job. Doug has been down this road and has struggled with adversity to get where he is today. He’s giving us the opportunity to learn from his experience, and for that we’re very fortunate. Doug Collins has taken the long road to his current position as a UX Engineer for Trust Company of America. After years as an unsuccessful freelance journalist, Doug was forced to live out of his subcompact car for a little less than a year. During this time, Doug worked as a call center representative for Nordstrom during the day while independently studying web design, development, user experience, and user interaction by night. Using this knowledge, he was eventually able to land jobs as a Software Engineer with Nordstrom, a contracted Interactive Designer and Team Lead working with a digital signage company, and his current UX Engineer role. Doug specializes in streamlining existing inefficient systems to fit modern usability standards. If you can’t make the live session but have questions, we’d love to collect them ahead of time and we’ll ask Doug on your behalf. 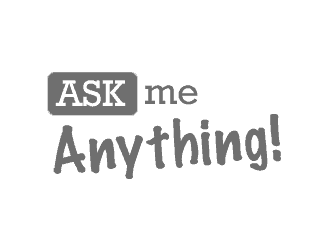 You can submit your questions here. We’ll publish the responses (along with the full transcript) in the days following the session.